In a sunny conference room high above midtown Manhattan Josh Gruss is explaining how to buy a song. Seems simple enough–$1.29 for an iTunes download. But Gruss is talking about the purchase of a much more complicated item: the copyright for the music itself. A few clicks later a menu appears, showing that the tune was written by the hair metal group’s front man, Jeff Keith, and its guitarist, Frank Hannon. There’s other information, too, including contact details for the firm overseeing the song rights. For someone interested in buying the group’s publishing catalog, or even a single song, that would be the most direct route. He should know. Gruss, 39, is the chief of Round Hill Music, which controls nearly 8,000 copyrights, including songs by the Rolling Stones, Frank Sinatra, Aerosmith, Bruno Mars and Katy Perry, as well as six of the Beatles’ early hits. 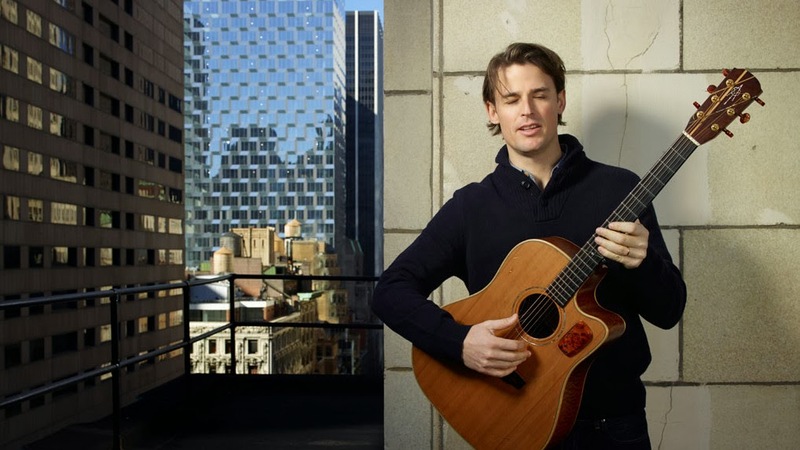 An ex-Wall Streeter, he started the company three years ago not only because of his passion for music–he still occasionally plays guitar in a rock band called Rubikon–but also for the profits. The music publishing business generates $6 billion in royalty income per year and attracts some savvy investors. In 2009 a Dutch pension fund bought the Rodgers & Hammerstein catalog. In 2012 Sony /ATV led a consortium that included David Geffen, Blackstone’s GSO Capital Partners and Michael Jackson’s estate in the $2.2 billion purchase of EMI Music Publishing and its 1.3 million songs. They were mistaken. The Napsters of the world have mostly been shut down or transformed. Harsh penalties for illegal downloading have certainly contributed, but the real change comes from services like YouTube and Spotify, which offer a relatively painless way to listen to free music on demand. That’s a boon to the copyright owners, who have long been more insulated from industry turmoil than record labels have. The explanation traces back to the two main financial components to any song: the master recording, typically owned by a record label, and the rights to the underlying composition, owned by the composer and usually a music publishing company. The rights holders split a mechanical royalty of 9.1 cents per track sold on iTunes or CD, and they earn a royalty every time one of their creations is licensed for a television ad or radio commercial. Same goes for spins in bars, stadiums and shopping malls and plays on Spotify. Licensing fees for films and TV shows can result in six-figure payouts. Songwriters, unlike recording artists, also get paid for all U.S. radio plays. “Happy Birthday to You” still generates about $2 million per year in publishing royalties. For every dollar a music publisher collects, it typically pays out half to the songwriter and keeps the rest for itself–while maintaining the copyright, collecting passive royalties and seeking out new licensing deals to generate more cash. A well-managed song can yield the publisher and writer each a payout of 10% to 15% a year of the song’s current market value–a ratio that has stayed fairly consistent over the past decade. Think of it as an income play with the potential for capital gain or loss. Michael Jackson famously bought a catalog housing the Beatles’ biggest hits for $47.5 million in 1985; he later merged it with Sony’s catalog, and his estate’s share of the joint venture is worth about $1 billion today. So what’s the catch? The biggest is that opportunities for retail investors, while growing, are still very limited. One is Round Hill, which Gruss started after working at Bear Stearns, Warner Music Group and his family’s hedge fund. Round Hill has spent about $50 million buying publishing catalogs and last year launched a private-equity-style fund that allows outsiders to invest in its copyrights. There’s a minimum investment of $1 million and hefty (albeit standard for private equity) fees of 2% of assets plus 20% of profits. FORBES estimates that Round Hill’s annual return is about 15%. In that case, investors would get a 10% payout. For a similar minimum and fee, investors can buy in through other outfits too, including Kobalt Music Group and Bicycle Music. Most of what’s for sale here, says Royalty Exchange cofounder Wilson Owens, is the writer’s share–producing passive income, with no management or licensing responsibilities. Songwriters sometimes sell just part of their royalties; a 25% cut of the writers’ share of the song “U Remind Me,” performed by Usher, recently fetched a cool $113,000. Buying individual songs associated with unknown acts is cheaper and comparable to speculating in penny stocks. In the unlikely event such a song gets discovered and licensed in a TV ad, you could make a killing. For the catalogs and songs that do generate steady royalty income, payouts offer the added benefit of favorable tax treatment. In the U.S. the purchase price of a song can be amortized (written down) over a ten-year period, making most of the payout tax free for the first decade. If you sell, however, what you’ve previously amortized is recaptured and taxed at ordinary income rates of up to 39.6%; any gain above recapture is taxed at the lower long-term gain rate that tops out at 20%. If you’re not actively managing song copyrights as a business, payouts and gains are also subject to the new 3.8% net investment income tax, says Anthony Nitti, a CPA in Aspen, Colo. and a Forbes.com contributor. So what about that second big catch? Under U.S. law, written works (including songs) copyrighted on Jan. 1, 1978 and later revert to the public domain 70 years after the last writer’s death. But writers (or their heirs) can reclaim U.S. rights they’ve sold to publishers after 35 years. This can lead to expensive legal battles, although as a practical matter it’s mostly used by writers to quietly negotiate a better deal with their publishing companies. This can reduce both the publisher’s income from a song and the composition’s market value–another reason to invest in a catalog and not a single song. Back in his conference room, Gruss continues to explain how an individual investor could buy copyrights directly from a band. Still using Tesla as an example, he scrolls down his screen and points to an entity listed as City Kidd Music–the name the members of Tesla picked for their copyrights, which they still owned at that moment. Interested? Too late. Round Hill has since bought the whole catalog.